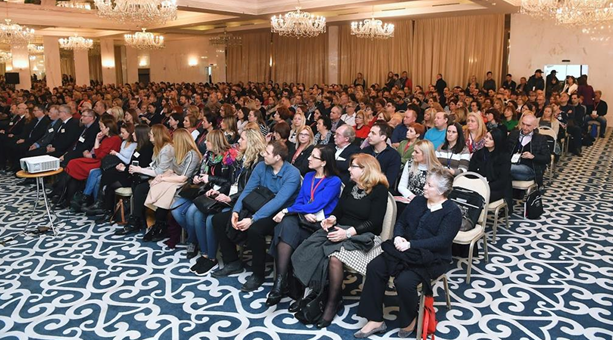 From 26 to 28 March 2018, 550 participants attended the first vocational teachers’ days in Croatia organised by the Agency for Vocational Education and Adult Education (AVETAE). During the three conference days, vocational teachers participated in 48 professional development workshops and plenary lectures. These were delivered by 50 speakers who presented the latest developments in vocational education and training (VET), including sector-specific updates, top policy priorities and international best practices. The conference highlighted the pivotal role of highly qualified, motivated, innovative and adaptable VET teachers in delivering high quality and effective vocational education and training; it also promoted VET as the key instrument for economic growth and modernisation. The event was organised under the AVETAE project Modernisation of the system of continuing professional development of VET school teachers funded by the European Social Fund. The total project value is over EUR 1.5 million for 2017-19. In line with the key national strategic priorities, as defined by the VET system development programme 2016-20, the project aims to modernise the continuing professional development system for VET school teachers in Croatia. It proposes an innovative, open and flexible professional development model, based on identified needs, relevant content, state-of-the-art training delivery methods, advanced IT tools and a broad network of experts. The project is particularly directed at developing the professional competences and improving the reputation of VET school teachers in Croatia; it includes raising the number of teachers participating in professional development, improving the quality and the availability of teacher training, and defining the strategy of continuing professional development for VET school teachers. The next vocational teachers’ days are planned for 2018 and 2019.